Is life seasonal? Profoundly. Could you wear wool in each? Of course, but Stormy Kromer® values diversity, and sought to make a lightweight, brushed canvas field cap to take you deep into summer. And back out again. 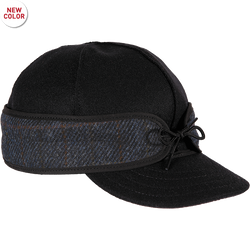 Unlined with a squared brim to shield the sun of any season - indiscriminately. I recently ordered the Field Cap in the camouflage color. This is my third Stormy Kromer...so far. The quality is excellent and I look forward to many years of wearing it. Great product at a great price! Again I am beyond proud to own another great hat from Stormy Kromer!! Love all my Stormy Kromers! Great, quality products! I ordered the field cap on line. Great hat for my job which is 90% indoors, so its not too hot to wear inside but nice to have the ear protection when I'm out side. I wear a 7 1/8 and this hat fits too tight. Would order a size larger next time. One of my three Kromers, and all I can say is it's amazing. I purchased it late summer and wore it in a temperature swing of almost a hundred degrees. Works surprisingly great in 90 degree heat, and still works wonders below zero. My brother recently purchased a Field Cap after I highly recommended it (a lot) to him, and we both love it. You won't see us going anywhere without our Kromers. Thank you for two truly incredible hats. Love the cap. I am glad I read the reviews. 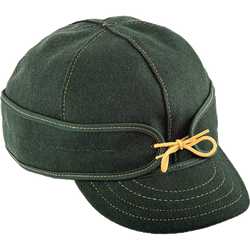 I have an original Kromer, and went one size smaller for the Field Cap. Fits like a glove. From a proud Michigander living "overseas" (in Mass.) 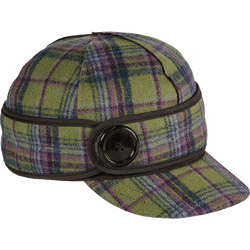 I love my 4th Stormy Kromer.... my wife thinks I am crazy spending this kind of cash on a hat, but it is so comfortable and perfect for Mass. warm weather, and it will last forever. The cool thing is that other Sk fans will spot the style and nod knowingly. I have already passed one along to the future generation: my grandson Tim , a rabid hiker in WA mountains, "swiped" my red and black plaid winter hat and he loves it. Plus, he is 6'6" so the hat is very prominent on the trails around Seattle! So he is a great advert for SK and he tells everyone to check the website!